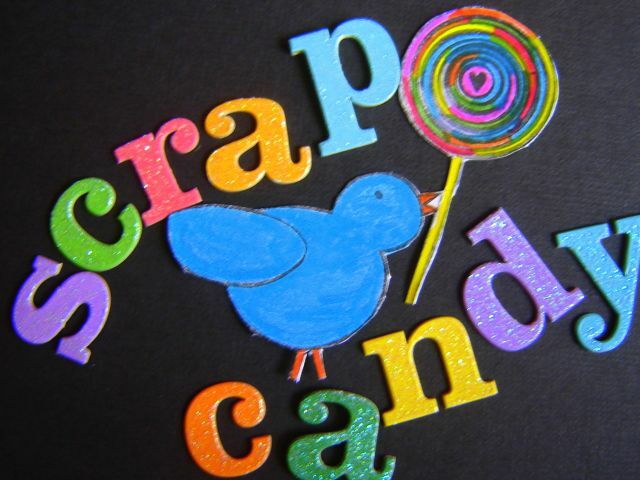 ScrapCandy: My favorite Tree is in Bloom! My favorite Tree is in Bloom! I love this time of year because my favorite tree is in bloom. It smells so fragrant and the blossoms are so PINK!!! Just beautiful! This girl has been so full of energy lately..Must be Spring fever! I have been getting a lot of layouts done lately. I think it's because I have gotten so much new product that it is overwhelming me! But, it is good to be productive! I love this Bunny stamp from Unity Stamp Company. It looks so cool on kraft paper! This layout is a baby photo of me and one of Bailey. It is amazing how much we look alike! Lastly, I finally got my first bottle of Maya Mist. The color is Cotton Candy Pink (of course!). I went a little crazy with it on this layout, but I think I definitely like it better that Glimmer Mist. That's the story, Maury!! Have a fantastic Thursday! Love all the projects. Their dresses are adorable and that tree is gorgeous! That last two-pager is super fab! You are a machine! Look at all those beautiful pages! I love trees like that, wish I had one. All I have is a stupid paper tree that drops limbs like every day. Nothing wrong with it, it's just messy. those dresses are sooooo cute! and i love your layouts..esp the bloomers along the bottom like that on the last one...awesome! A Big Birthday and some layouts..